Keep cash, cards and your phone secure on your wrist. Travel light! This stretchy, zippered wrist wallet has room for the necessities, plus there’s even a pocket for your phone. Leave your purse at home and travel light without risking valuables slipping out of a pocket. 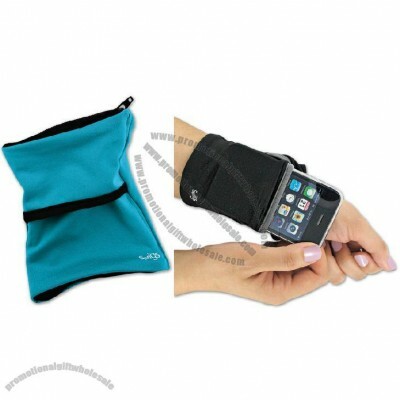 Ideal for travel, trips to the gym, jogging or shopping, this slim Phone Wrist Wallet even fits under a sleeve. Holds cash, keys and cards, too. Polyester/spandex. Machine washable.